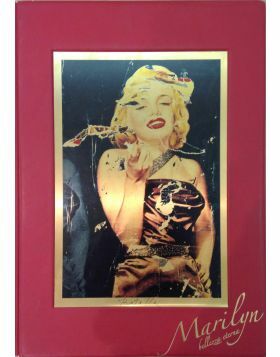 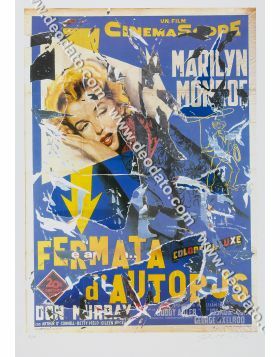 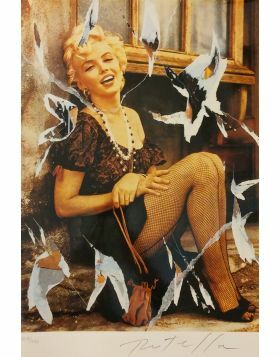 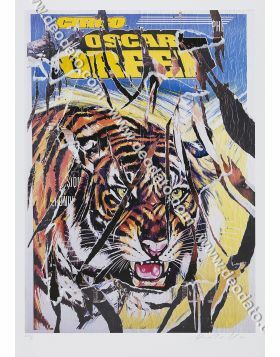 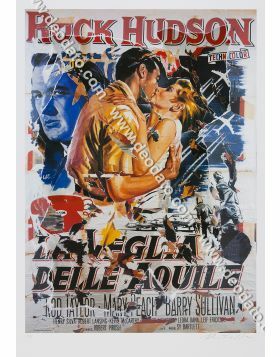 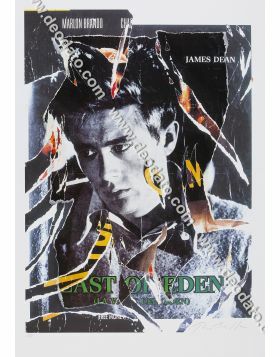 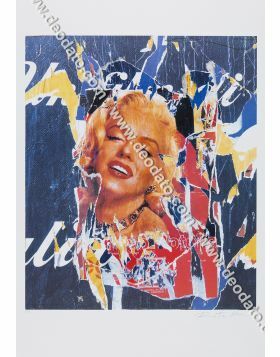 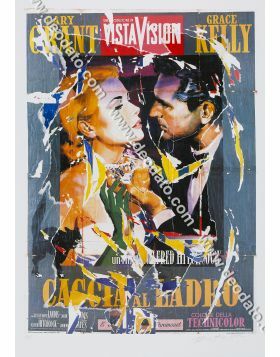 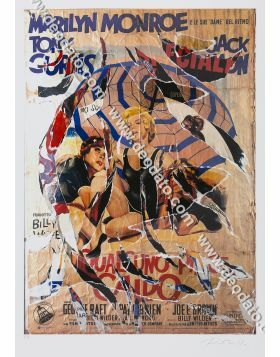 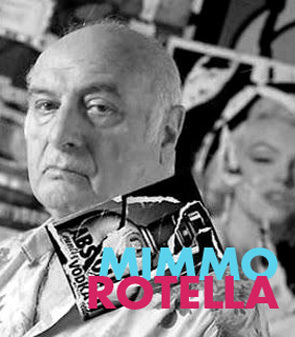 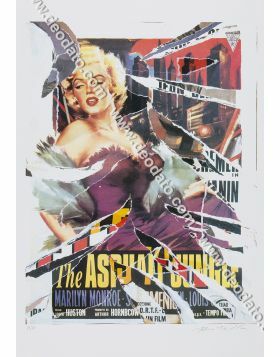 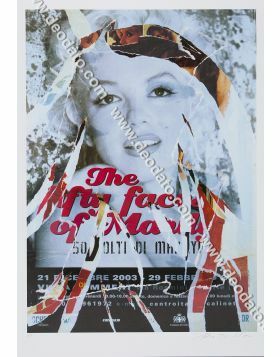 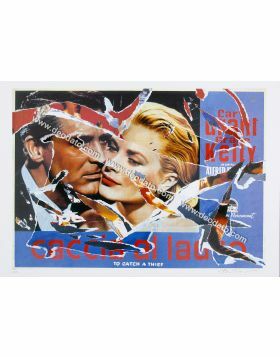 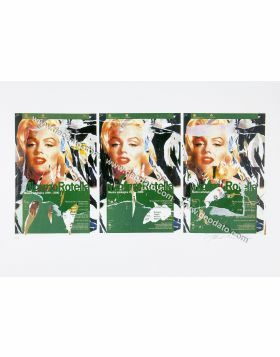 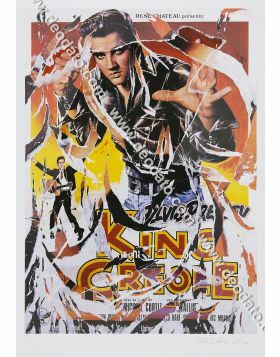 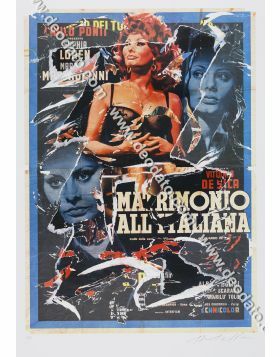 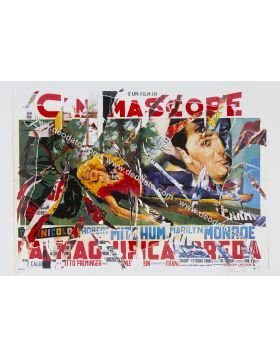 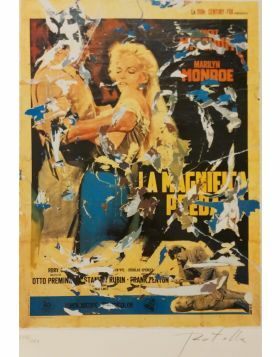 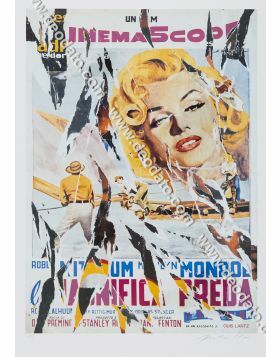 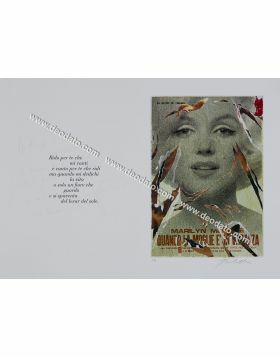 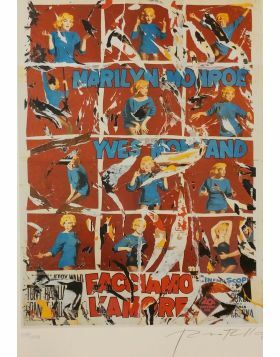 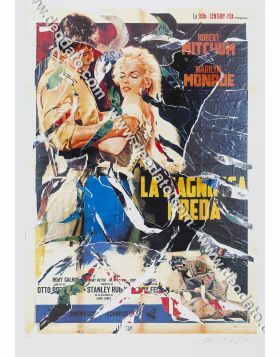 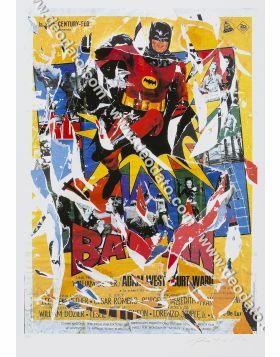 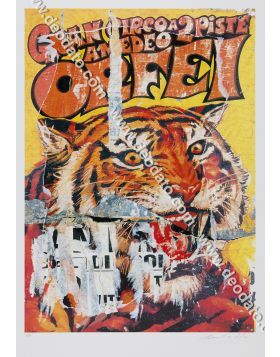 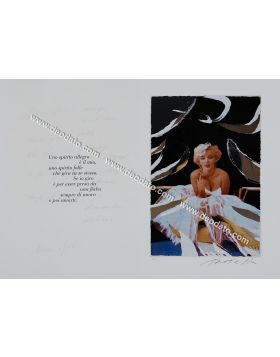 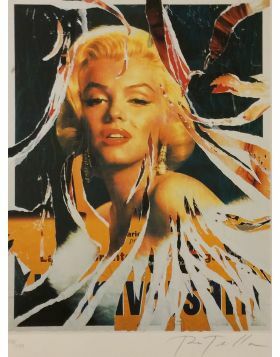 Top Gun is a Mimmo Rotella's SeriDécollage ripped by hand, inspired on the charming western among gunmen and outlaw directed by Roy Nazarro and interpreted by Sterling Hayden, Karin Booth and William Bishop. 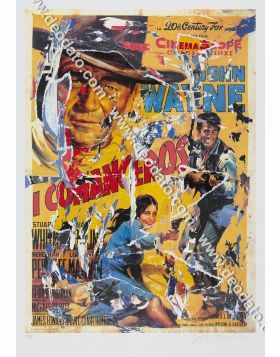 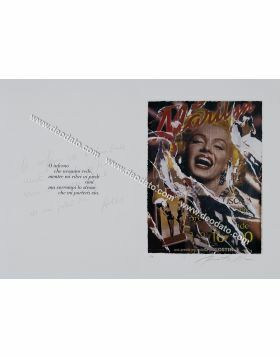 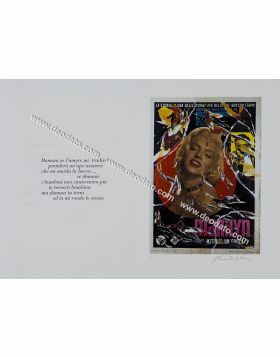 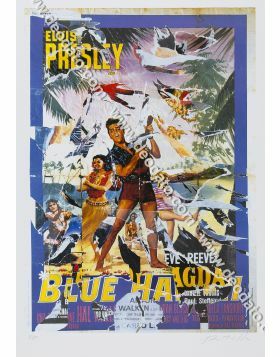 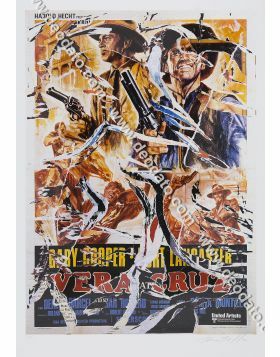 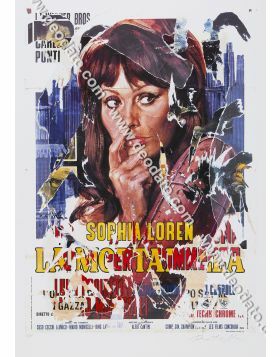 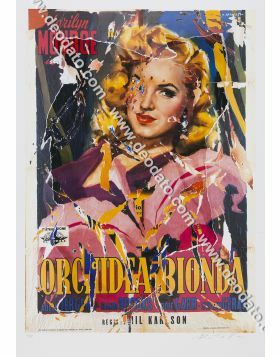 The rips realized by hand by Mimmo Rotella draw on the poster of this classical western the hits of gun launched from Rick, interpreted by Starling Hayden. 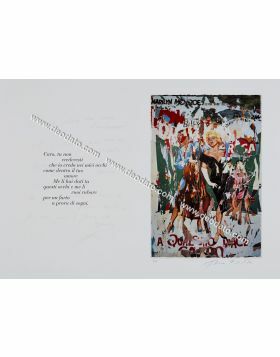 It seems, in fact, to gather the courses of the bullets that depart to gust in the shoot-outs between bandits and outlaw. 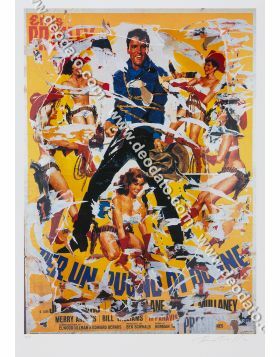 The protagonist in saddle to his horse, with the gun aimed toward the sky, that gallops impetuous and implacable: Nobody will stop me.